Cars are complex machines with a multitude of parts that work together to ensure the vehicle not only functions, but does so in a safe and reliable manner. Predictability is important, especially when it comes to major elements such as the brakes. Defective brakes are a terrifying possibility, with the phrase conjuring images of a car speeding out of control as the driver frantically presses an unresponsive brake pedal. However, few consider the dangers posed by brakes engaging unexpectedly. Unexpected braking is a threat that concerns our San Francisco defective vehicle lawyer and a danger that has caused Honda to issue two distinct recalls this year. Honda recently announced that it is recalling 2007 and 2008 Honda Odyssey minivans. The recall, which involves 344,187 vehicles built between August 8, 2006 and September 8, 2008, is discussed in an article on Edmunds.com, one of the leading resources for information on automobiles and the automotive industry. Earlier this year, Honda informed the National Highway Traffic Safety Administration (“NHTSA”) that it had received 109 warranty claims and more than 200 field reports related to unexpected braking as of June 30, 2013. In the NHTSA’s own investigation, the agency received 22 complaints claiming that the vehicles had braked unexpectedly. Reports included claims of braking occurring while the driver was pressing the accelerator, with drivers alleging a sudden drop in speed of up to 30 miles per hour. According to the NHTSA’s statements, the problem stems from the Vehicle Safety Assist System (“VSA”) which may suddenly and without warning apply the vehicle’s brakes without illuminating the vehicle’s brake lights. The agency warns that the unexpected braking creates an increased risk of rear-end collisions, although no collisions stemming from the defect have been reported to date. Honda will need to install an updated yaw sensor in order to fix the VSA software problem, but a shortage of parts means the repairs cannot being until March 2014. Honda is sending owners a letter with information on steps they can take in the interim to ensure the system is properly calibrated and prevent unexpected braking. This is actually the second time this year that Honda has recalled vehicles because of unexpected braking. On March 14, 2013, Edmunds reported on a recall involving 182,000 Honda vehicles including the 2005 Honda Pilot, 2005 Acura RL, and 2005-2006 Acura MDX. In that recall, Honda announced that a VSA malfunction could cause one of two problems, either the brakes could briefly engage without the driver input or, if the driver is pressing the brake when the malfunction occurs, braking force could be greater than would be expected for the amount of driver input. 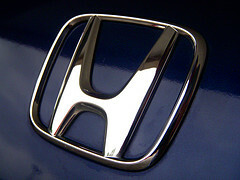 Honda noted that either problem could increase the risk of a collision. There was also a concern about loose bolts in the VSA systems of certain recalled vehicles. Although the earlier recall also involved the VSA system, it appears unrelated to the current problem with the Odyssey minivans. Notably, the March recall was also delayed for a month due to a parts shortage. We rely on our vehicles to respond predictably. If you were injured in a collision caused by unexpected braking, call our San Francisco product liability lawyer. We will fight for the monetary compensation you deserve.